Connect a non-B&O subwoofer to your Bang and Olufsen music system or BeoVision TV using the Powerlink speaker outputs. This cable converts Powerlink to industry-standard Twin Phono / Stereo RCA plugs - hence it is one of our most popular products! We are particularly proud of this cable - which we consider to be a very neat solution to let you integrate your B&O system into a conventional hifi or home cinema installation, whilst keeping control at your fingertips with your B&O remote. Many Bang and Olufsen dealers will tell you that this can't be done - but we can prove them wrong! You will be able to use your B&O system or B&O remote control to control the level of the attached hifi loudspeakers. This cable will fit almost all B&O audio systems manufactured since 1990 - if you are in any doubt, please ask! Our 5 pin DIN cables will fit and work perfectly in the 8 pin DIN Powerlink sockets on B&O systems. The extra three pins are only used for remote control data to other B&O products, so they are spare in this application. Additionally, using 5 pin DIN plugs allows the cables to also fit Powerlink MK1 and also pre-1986 B&O products (which used five pin DIN sockets). 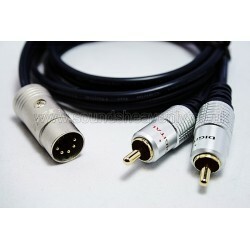 Important note: This cable should not be used to connect to B&O speakers, it is intended only when connecting a B&O system to other brands of amplifiers or speakers. A variant of this cable also allows you to plug directly into a non B&O Hifi amplifier/ receiver. See our "Powerlink to Hifi Amp" cable for more details.